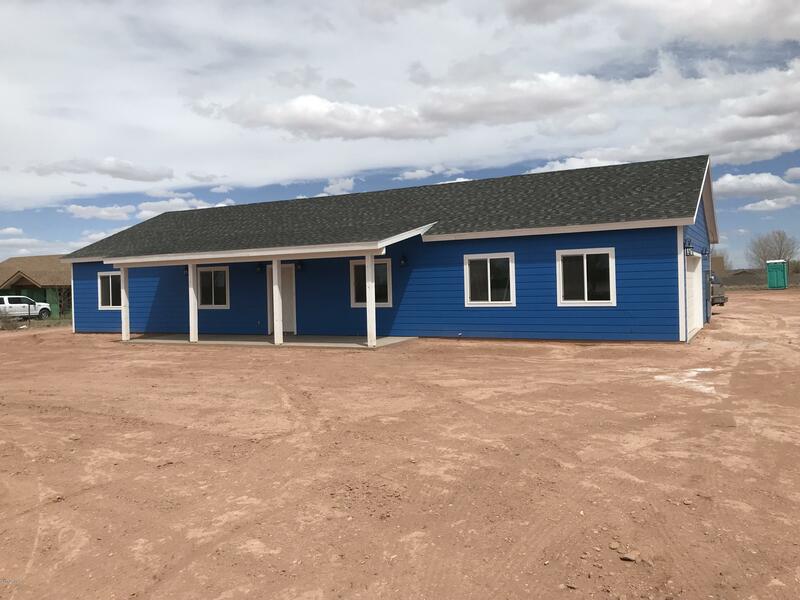 All Snowflake homes currently listed for sale in Snowflake as of 04/25/2019 are shown below. You can change the search criteria at any time by pressing the 'Change Search' button below. If you have any questions or you would like more information about any Snowflake homes for sale or other Snowflake real estate, please contact us and one of our knowledgeable Snowflake REALTORS® would be pleased to assist you. "This is your chance to own one of the few large-acreage properties available in the area. 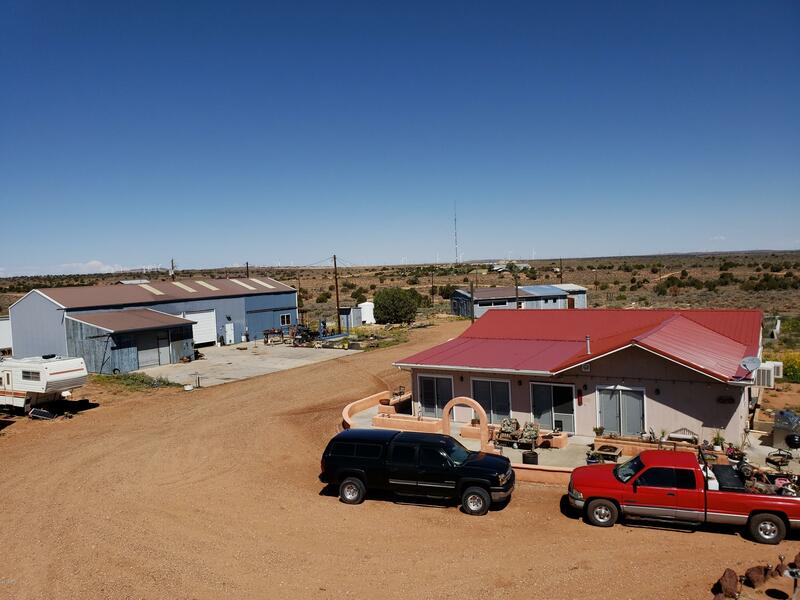 There is plenty of peaceful quiet, privacy, and room to roam on these 280 acres of gorgeous and varied high-desert land nestled up to scenic Black Mesa. 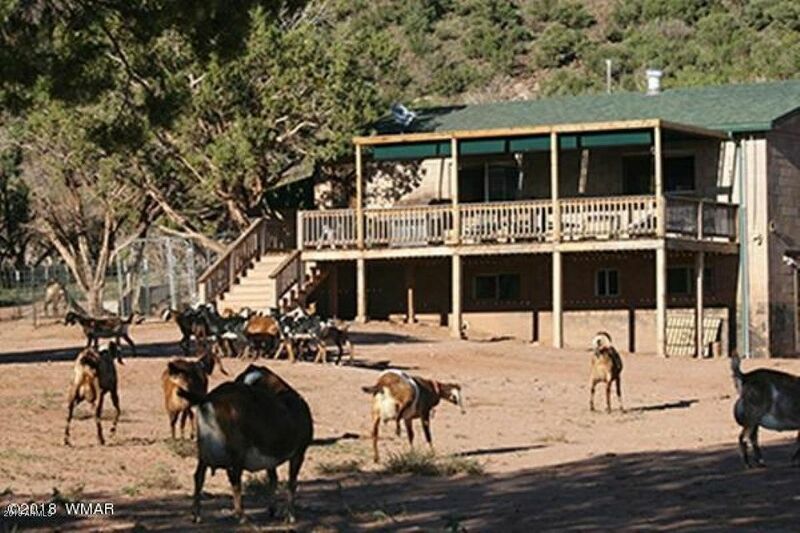 The property, which spans from the top of the mesa to across the valley floor, includes abundant cedar trees, limestone cliffs, volcanic boulders, and lots of petrified wood. 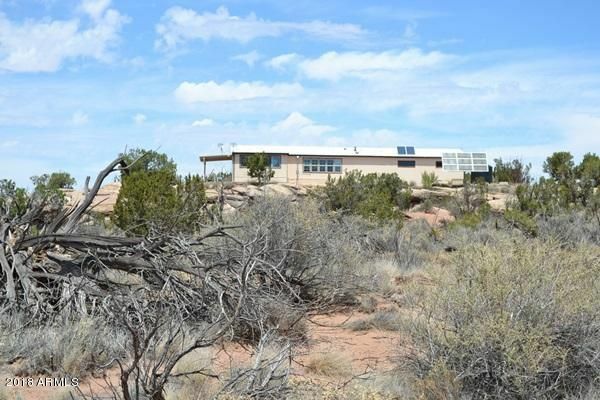 The area is also strewn with artifacts from when the Anasazi's lived here over a t"
"Perfect property for HOME BUSINESS, RACE CAR DRIVER, handyman w/360 degree panoramic views on near 20 acres w/n town limits. Spacious 2 bdrm. 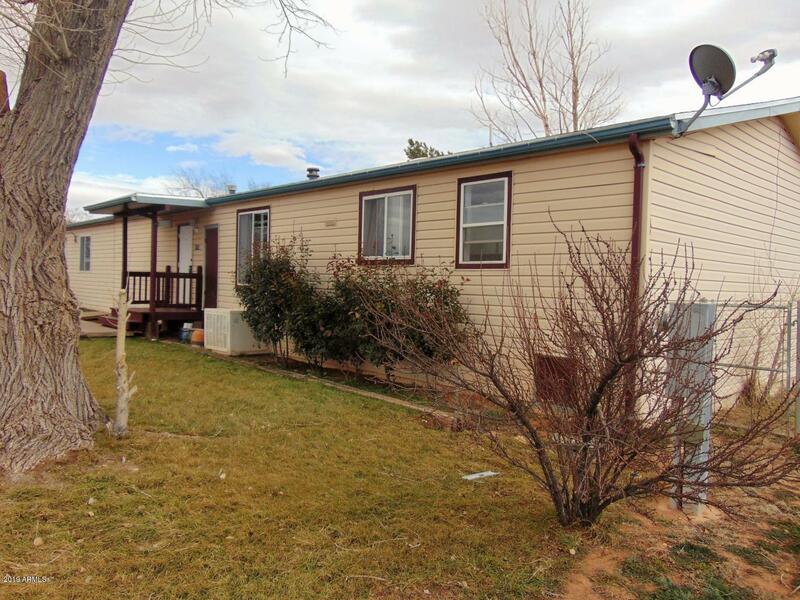 2 bath mobile home w/a beautiful 900 sq. ft. step down rec. room addition that could also be guest quarters w/ wet bar, pellet stove & indoor hot tub. The home has upgraded appliances, newer toilets in bathrooms, tankless hot water heater. There is a 200 sq. ft. mud room addition off the laundry room. The home is situated on almost 20 acres of totally flat"
"What a property! Lovely, well-built home on almost 5.5 private acres is only 2.5 miles from Main Street, and sits high with distance views. Vaulted tongue 'n grove pine ceilings in formal living room flows into a wonderful Arizona room/greenhouse, & transom openings provide heat to the home in winter! Cozy double-sided gas log brick fireplace with sandstone accents opens to the dining room, which enjoys a view through the insulated triple pane sliding glass door to the landscaped yard with tall "
"Gracious 3 BR 2.5 bath home on a quiet cul-de-sac street features mature trees & shrubs, a beautiful stone facade, & a 2 car garage plus cart garage and generously-sized concrete driveway. Property also borders the golf course in back for lovely, peaceful views. Versatile room to the left of the entry could be either a formal living room or study/den, with a great loft area upstairs for a play area or potentially even a 4th bedroom. Very nice master suite with spacious bath has a jetted tub unde"
"owner Agent / Broker,quartz counter tops,spray foam insulated attic,horse property 1.169 acres,air conditioning,all bedrooms have walk in closets, hardwood flooring throughout,separate storage room with a/c,custom cabinets in baths, kitchen and laundry, covered front porch and rear patio, still under construction"
"Exquisitely well-maintained & spacious home on half acre, where horses would be welcome! 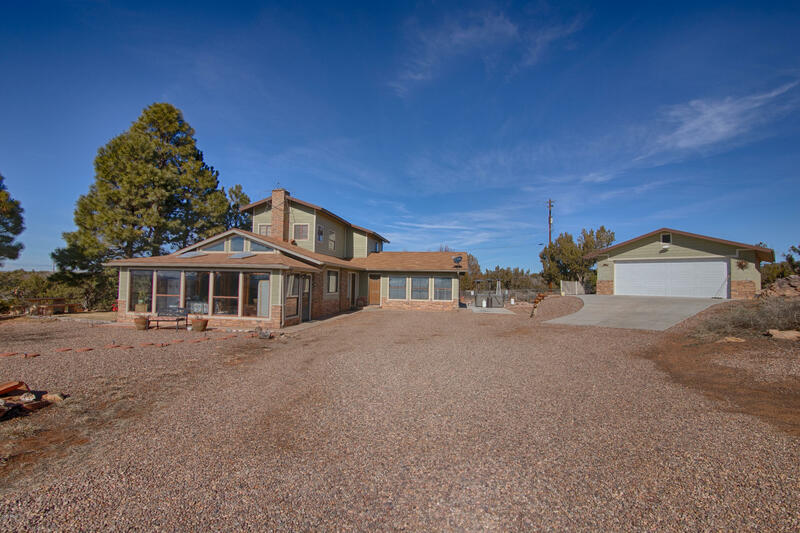 Solid surface countertops & double oven in kitchen, complete w/a large island bar & formal dining room, an Arizona room that gathers solar warmth on sunny winter days, & a sturdy glass wall that protects the back deck area from our occasional windy weather. Large master bedroom has a stylish ensuite bath, along with an attached area that could be used as a nursery, library, or home office. 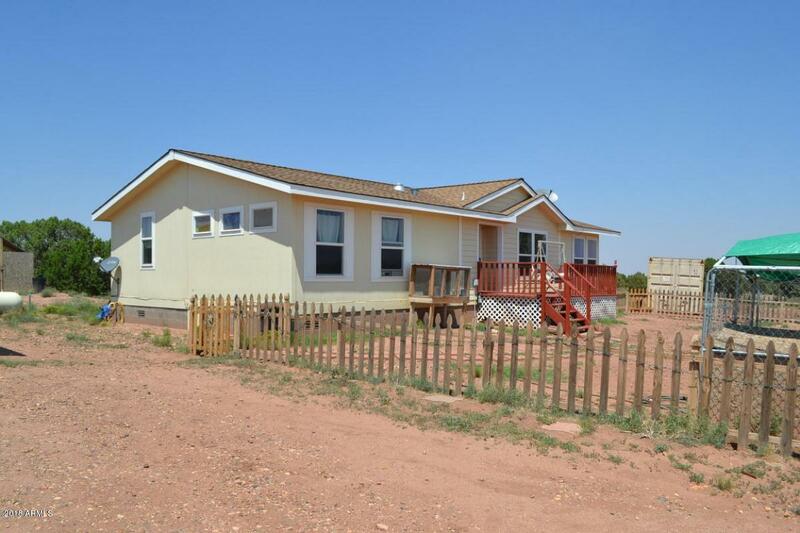 Four bedrooms (one"
"Located just outside of Snowflake on 20 fully fenced acres. House sits atop a hill and has incredible panoramic views of the Valley to the N, S & W - close to State land. Nicely laid out home with spacious kitchen with view windows to the West, large dining area & split bedrooms. Arizona room is a bonus. Natural boulders create your deck off the rear of the home. Large attached garage, concrete paths, & gravel around the house are all additional features. Pressure tank, 16 new batteries for the "
"Located approx. 14 miles East of Snowflake on mostly paved roads, good access on less than 1 mile of dirt road. Nicely treed property that is fully fenced with some cross fencing. The house is set back from the road which provides lots of privacy. 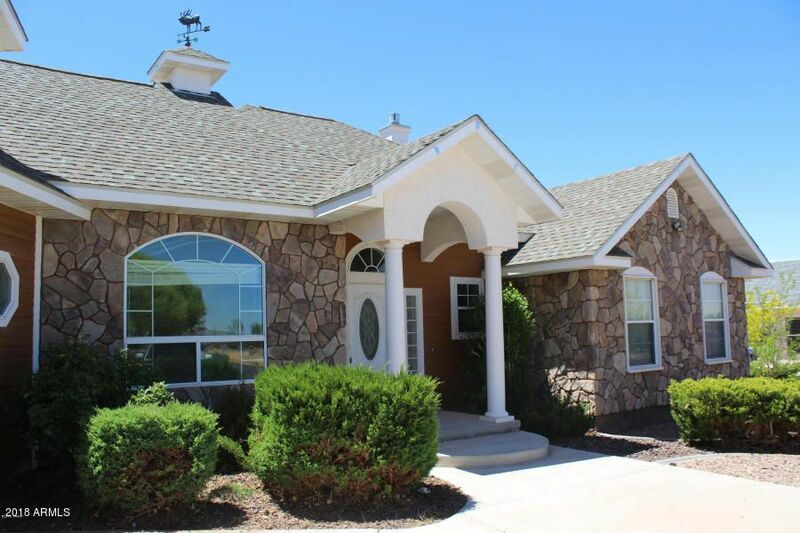 The home is well maintained, with a deck off the front and fenced front yard with dog run. The home sits on a block foundation, with tie downs. Two window A/C units stay. There is an RV hook up located away from the main house that has water, power and"